As a guitarist, specifically as a bass guitarist, I need to have a place to put my bass when I am not creating epic baselines. I was simply putting my guitar into my gig bag and leaning it in the corner of my living room but that got old quickly. Once I got a second bass, I decided that I needed a way to safely display my instruments so I started looking into stands and hangers to house my bass guitars. After a lot of research into the different types of stands that I could select from, I decided to go with a premium stand. After a lot of research into the different types of stands that I could select from, I decided to go with a premium stand. A single-piece unit, designed so that the guitar rests on the padded legs of the tripod, wires will never get tangled. Legs lock in place, but easy to unlock and fold for portability. Adjustable height from 33 to 45.5 inches accommodate most bass guitars. I would not expect you to simply take my word on which guitar stand is best for a bass, but I have played since I was about eight years old, and I have done a lot of research into the topic. I went to my local Guitar Center in Yonkers, NY to look into the types of stands that they had available. I spoke to several guitar and bass players in local bands to see what they felt was the best stand and hanger options for a bass guitar, and they all seemed to have similar responses, especially for a gig stand. The at home models differed slightly, but that will often be the case, especially when space is a concern. Which stands and hangers are best for bass guitars? Before we jump into the reviews, let’s explore the different types of stands that are available. As a bassist, you will need a guitar stand that accommodates your instrument. 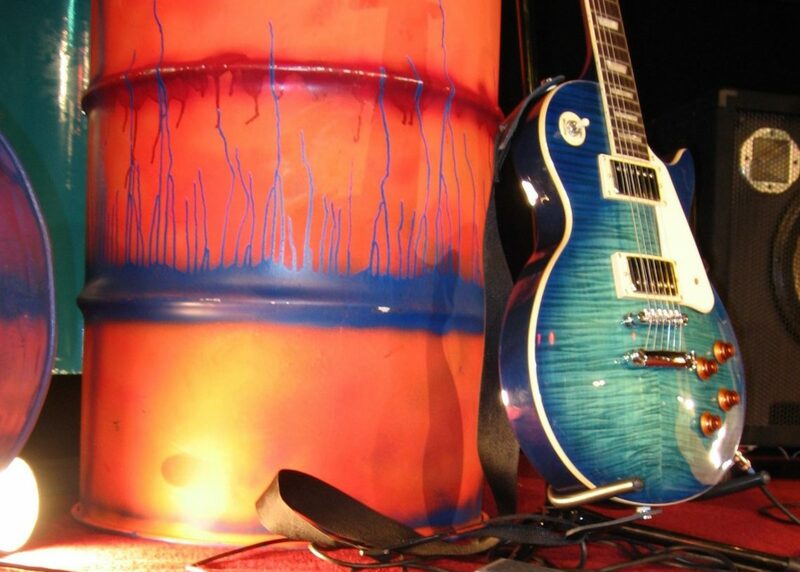 There are several types of guitar stands available, and most of them will work for the majority of the guitars and bass guitars, but some may not. 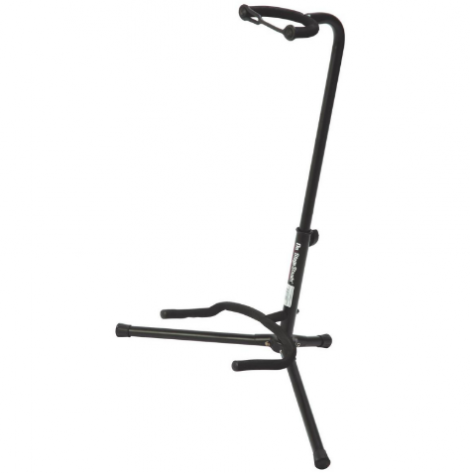 These types of stands are typically the cheapest type of guitar stand that you can purchase. It features a simple design that is great for gigs, but it has a bad reputation for being unstable and unsturdy on the floor. If you are in a space where you are sure that it will not get bumped into, it is a great type to display your guitars. They are easy to collapse down into a portable unit that can easily fit into your gig bag with your bass guitar. Tripod stands are the most popular guitar stand options on the market. 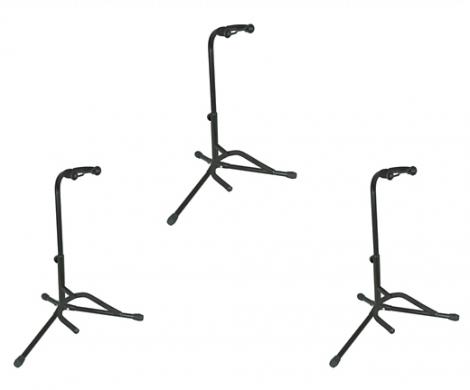 This is because they are sold at a relatively low price point, they are stable units, and they work for most situations where you need a guitar stand. They are actually very similar in style to an A-frame stand, but they have three legs that provide additional stability and a neck that adds more security to your instrument. This neck is great, but it also makes the unit a bit less portable, so if you travel a lot, make sure to take portability into consideration. And unless you have an out of the way area to place your guitars, the tripod setup can be very cumbersome. I have tripped over mine quite a few times already, and it can in theory damage your guitar if you knock it over. 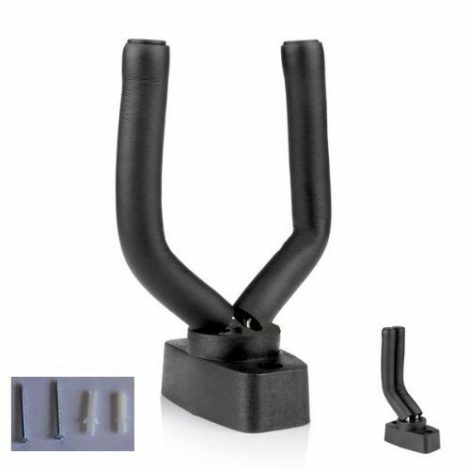 Premium stands are effectively the best guitar stands that you can purchase. They tend to cost quite a bit more than the other stand options, but they also offer additional features that you may not have considered. The guitar is supported by the neck cradle and the body of the instrument simply leans against the legs of the tripod. They also fold up pretty well to give you the portability that some tripod stands lack. If you want to display your guitars in a specific room in your home, then a wall hanging stand might be a great option for you to consider. It is also great for small spaces because it does not use up any floor space and it keeps your guitar out of the way when you have visitors in your home. I love the way that a wall hanger looks, but I am the type of person who does not always feel safe placing my instruments on the wall. I’m sure that they offer a great amount of security to ensure that the guitar will not fall, but I just feel safer with my bass on a floor stand. 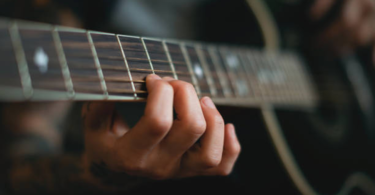 One way to help protect your guitar is to have a wall bumper, which will ensure that your guitar does not swing into the wall when it is in the cradle. 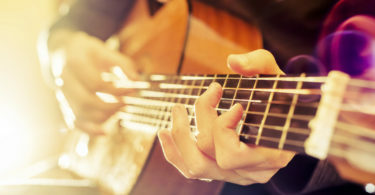 Depending on where you live, some apartment buildings send steam up the walls to keep the tenants warm, but that additional heat can warp and damage your guitar. If you own more than one guitar or bass, you may want to purchase a multi-guitar stand to help save you space. It is great for small rooms or using multiple guitars on stage, but it can be awkward to reach all of the guitars on the stand. I like the design, but it is not always the best for every situation. If you have multiple guitars, then maybe you prefer a guitar rack in your music space. It is a portable option that can easily be taken apart and transported when needed, but it looks great in a music room. Most of these racks hold between three to ten guitars, so it saves more space that it uses. If your band has more than one guitarist and bassist, then this type of rack might be a great option to store all of your instruments. This can be especially useful when the members of your band utilize more than one guitar during a set. Be careful placing the guitars on the rack because they can easily ding other guitars that are already sitting on the rack. There are also stands that are designed to be used on stage. You place your instrument in the stand and simply walk up to it in order to play it quickly during a song. This stand holds the instrument at the exact angle that you would hold it against your body when you play it so that switching to it quickly can be done with ease. Floor stands are great for gigs. They are ideal for when you have a large music room where you can display your instruments. However, if your space is limited, a floor stand will only get in your way. In this situation, a hanger may be the best option for you. One option is not any better than the other, so ultimately the choice on which type you select is up to your personal preference. Before you make a purchase decision, there are a few features that you will want to consider. When it comes to a stand for your bass guitar, make sure to look for the following in the unit that you select. The stability of the stand you select is actually the most important consideration that you need to make. The unit needs to be stable at all times. You need to be sure that if someone bumps into the stand, the guitar will still be safely secured and in an upright position. Many guitarists select tripod-style stands to make sure the base is as stable as possible. Some stands fold up to a size that can conveniently fit into your gig bag, while others do not get quite so small. It is imperative that you have a stand that fits your needs, so if you travel with your bass guitar a lot, find one that makes travel easy. Many of the guitar stands on the market feature a fretboard latch to make sure that your guitar is secure. This extra layer of security may be a great feature to have when you are frequently taking your guitar on and off of the stand. It helps you know that the instrument is secure on the stand. 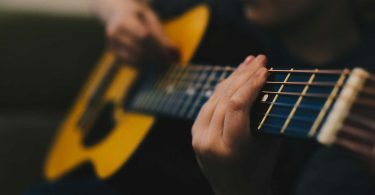 Not every guitar and bass is designed with the same shape, so it only makes sense that the stand that holds these instruments would need to be adjustable to accommodate the different guitars. Most guitar stands have padded surfaces to prevent your guitar from acquiring unwanted damage while it is not in use. Make sure that the stand that you select is not going to scratch your guitar or cause damage to the finish. Before you purchase a few ground stands, you will need to consider whether or not your living space can accommodate the extra floor space being used. If you have a smaller area, it may be more convenient to consider a hanger for your instrument instead. A guitar stand can range from about $20 to $50, and deciding to purchase a hanger can end up costing you even less. A higher price does not always mean a higher quality, so make a decision based on the amount of money that you want to spend on a stand. You will most likely find a quality device in the price range that you set. The Ultimate Support GS-100 Genesis Series Guitar Stand is the best stand and hanger for bass guitars because it offers a tripod base that provides stability and security for even the longest basses on the market. This is a premium base, so it does not have cradles to support the base of the guitar. Instead, it is designed so that the guitar simply rests on the legs of the tripod. The base of the tripod is padded to ensure that no damage happens to your guitar when it rests against the legs of the unit. The legs of this stand lock in place, but they are easy to unlock and fold, which means that this model is also an extremely portable option for traveling from gig to gig. It folds down to a length of 14 inches and a width of 3.5 inches, which means that it will likely be able to fit into your gig bag with ease. 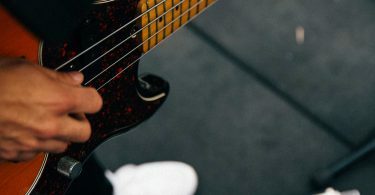 Since there are no cradles on the base of the stand, the wire that you use to plug into your amp will never get tangled, which is perfect for when you need to quickly pick up your bass during a gig. The height of the stand can be adjusted from a height of 33 inches to a height of 45.5 inches, which means that it is large enough to accommodate most of the bass guitars on the market. There is no assembly required with this stand because it is designed as a single-piece unit. 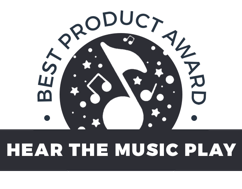 The neck support is designed with an additional strap that will add additional security to the instrument in the event that the stand is bumped into by mistake on stage. The design also features a few pick slots on the top of the stand, which I found to be extremely useful because I seem to always be misplacing my picks. 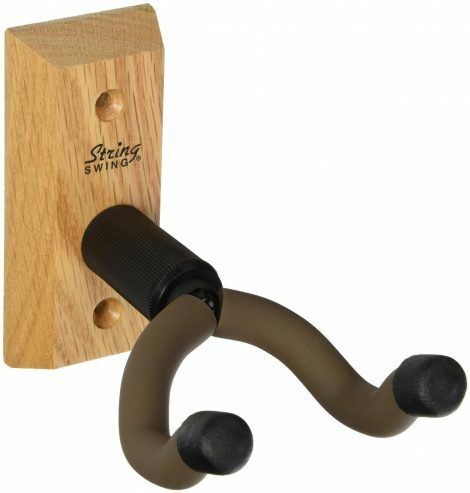 The String Swing CC01KOAK Hardwood Home & Studio guitar hanger is a hanging stand that is ideal for a studio or a small space in your home. I really liked this hanger, but since I worry about hanging my guitars from the walls in my music room, so I went with the GS-100 Guitar Stand instead. If you are comfortable with your guitars dangling from the wall, this hanger may be a great option for you. The hanger comes with sturdy anchors that can be installed quickly and easily, so it will secure your guitar with proper installation. The block of wood that serves as the base of this hanger is made from a durable piece of hardwood, which means that it is a strong support system for your guitar. The yolk of the unit pivots so that it can accommodate any type of headstock, and you can also adjust the width of the hanger so that it accommodates any size guitar, whether it is a bass or a standard guitar. This model has padded tubing on each arm of the hanger to help protect your bass from becoming dinged or scratched when you place it on the hanger. It will also protect your guitar’s paint and keep it looking new for a longer period of time. The Hercules GS415B is a great guitar stand that is built with a solid construction that offers a stable base for your guitar. It is designed with a lot of padding around the yolk and the legs of the tripod to make sure that your guitar does not suffer from unnecessary damage. The height of the stand is adjustable, which means that you can easily use it for a standard guitar as well as a bass guitar without issue. The grip that holds the headstock of your guitar in place is also a great bonus on this stand because it effectively locks your guitar in place; preventing it from moving and falling on its face. 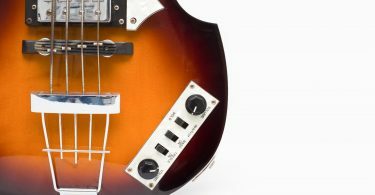 This guitar is a bit pricier than many of the bass guitar stands on this list, but with all of the added features that are included in the model, it is easy to see why. For the added security that this model displays, the price may be something that is easily overlooked. I also love how easily this stand folds down into a size that is easy to transport from gig to gig. The next item on this list is a set of guitar hangers that are perfect for a small space. I love how easy they are to screw into the wall, and the anchor and screw system that is provided is more than adequate to provide a strong, stable place to store your guitars. The hanger is also black in color, which means that it will not be too tacky for your wall display. The arms of the hanger are completely covered with a padded material that is designed to protect your instrument from damage. The arms are adjustable so that it can easily manage the neck and headstock of any bass guitar. 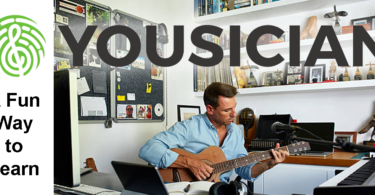 It can manage standard guitars, banjos, and ukuleles as well. I have an issue displaying my heavy bass guitars on the wall, but I love the fact that this unit can keep them safely secure and off or the floor and because of the adjustability, this same hanger can be used for mandolins and smaller instruments as well. The best part about this option is that the package comes with two hangers, which I felt was a great deal because purchasing both will cost you less than $10. The On Stage XCG4 is a tripod style guitar stand that is designed to accommodate most sizes, including full-scale bass guitars. This model is designed with a cradle that acts as a seat for the body of my guitar. It is fully padded and swivels a bit to accommodate asymmetrical guitars as well. The legs of the unit fold up with ease, which means that it can easily fit into your gig bag when you are on the road. The security strap is designed to keep the neck of your guitar secure, even during transport. I like how stable the base of this stand is; when I was looking into stand options to purchase, I tried large guitars as well as smaller variations, and it seemed to work well will most sizes. The padding is perfect for ensuring that the paint on your guitar does not become damaged as well. The neck of the stand is adjustable so that it can fit a full scale bass as well as a smaller one. The next stand on our list is a Musician’s Gear Guitar stand that is designed to accommodate electric, acoustic, and bass guitars. The cradle that holds the bass and the one that supports the neck are covered in a soft rubber padding that is designed to protect your guitar. The neck of the stand is stable, and it also features a security strap to ensure that your bass does not end up falling out of the stand during transport. The unit has a tripod base that features non-slip feet so that it has a stable grip on the floor in the event that someone bumps into your stand by mistake. I love how easy this stand is to transform into a more compact version that I can easily fit into my gig bag. The only issue that I had with this guitar stand was the fact that the neck is welded onto the actual stand, which should be a great solid build design, but the one that I was looking at was flawed. I took the time to go to another guitar store and look at the same stands that they had in stock, and out of five, one had the same issue as the other store. The construction has a high quality, but I’d suggest checking the actual product to ensure the weld is strong before purchasing this model. If the neck weld is secure, it is a great purchase option for almost any size bass guitar. The next stand on this list is an A-frame stand that is perfect for onstage. It is a small and compact unit that I found to be extremely stable for most bass guitars. When you start getting into the heavier guitars, it may not be as secure as a stand with a neck support, so make sure to take the weight and the size of your guitar into consideration if you want to purchase this A-frame stand. If you are looking for this stand at a guitar store, check to see how well a guitar that is similar to yours sits in the cradle. The cradle consists of two square posts that are padded to make sure that the metal does not make contact with the finish on your guitar. One of the main reasons that this stand is on this list is the fact that it is extremely portable. It folds up with ease into dimensions that easily fit into your gig bag, and it only takes a few seconds to set the stand back up and place your guitar on it. As you can see, having a stand for your bass guitar is important to make sure that your instrument does not become damaged. With a stand or a hanger, you can easily grab your guitar, play a few tunes, and put it back in its place without worrying about putting it in a gig bag to keep it safe. It is a great way to display your bass guitars in your home as well as a convenient location to place your bass while you are on stage, which is extremely useful when you have more than one instrument that you play per gig. I hope my research has helped you find the perfect stand for your bass guitar. If you have not made a decision yet, take a look at the reviews above and find a stand that works for you. Once you have a stand, a hanger, or both, you will wonder how you ever did without them.